Dr. Diana Hoppe MD ⁄ Health & News by Dr. Diana Hoppe ⁄ Women's Health & Wellness ⁄ Patient Education ⁄ New Year – New Home! 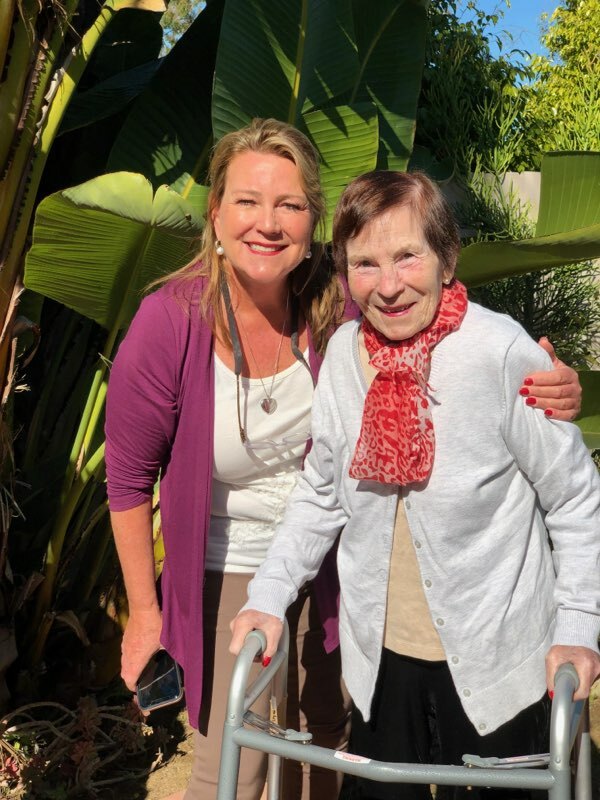 “We never deny a resident the right to walk.” This is the response I received after questioning the executive director at my mother’s memory care center regarding the lack of assisted mobility. 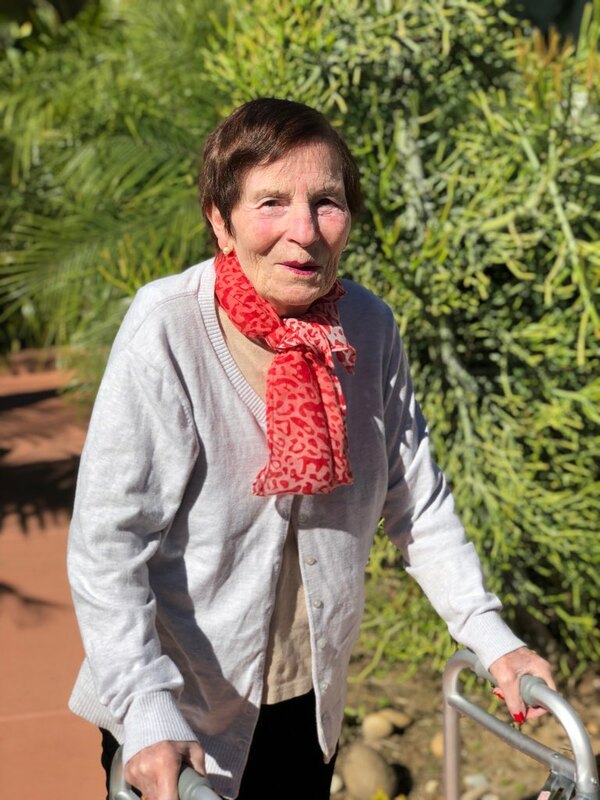 I asked again, “Why isn’t anyone walking with her with her walker?” She repeated the same statement using a monotone voice, “We never deny a resident the right to walk.” I soon realized the futility of my questioning. Two days later I moved my Mom to a Board & Care facility less than a mile away. 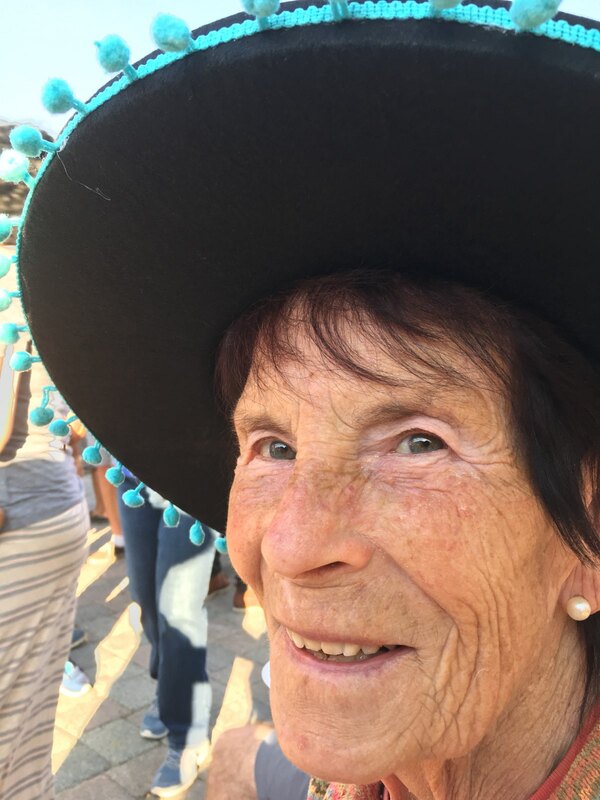 As many of you know, my Mom is suffering from vascular dementia and has been residing at a Memory Care facility since February, 2018. Initially the facility looked great- clean, inviting and organized, having opened just 5 months before in October, 2017. I was so relieved to find a place that I felt comfortable with for my mom’s care knowing she would have 24 -hour supervision. 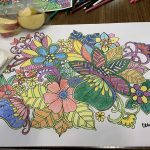 Just having this peace of mind helped me get through those tough months after undergoing two surgeries for my recent diagnosis of Stage 1 Breast Cancer. 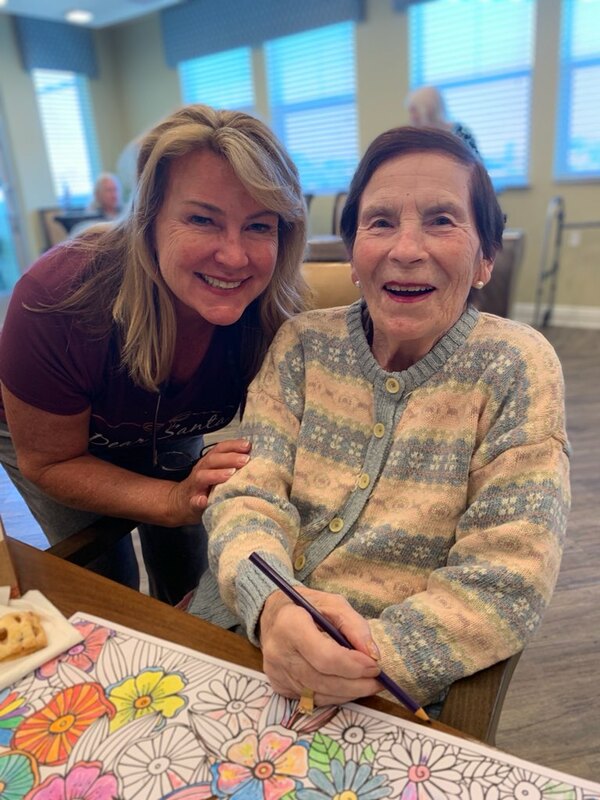 They welcomed my mother with open arms and she soon was participating in activities, walking the halls on her own with her walker and enjoying meals with the other residents. I frequently visited her and we played “volleyball”, tried “bowling” and colored our mandalas with fellow residents. Yet next few months, I’ve noticed a change in the level of care and attention given to my mom. 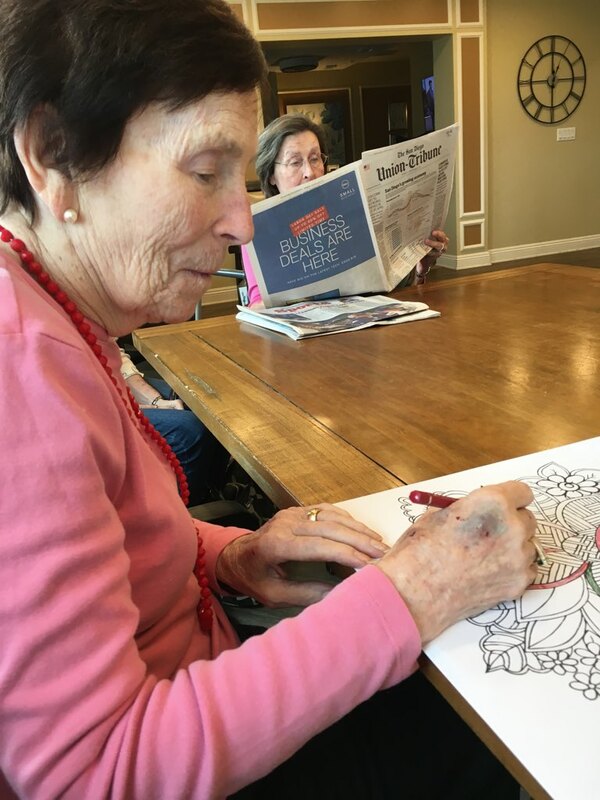 Although, she always smiled when I came to visit and loved seeing my friend, Kim, across the table chatting with her about her artwork, she seemed a bit more distressed. The staff said she was having more “falls”, needed to be given medication for her agitation, and recommended that she be in a wheelchair to decrease fall risk. What? My mother has always been a walker/hiker. 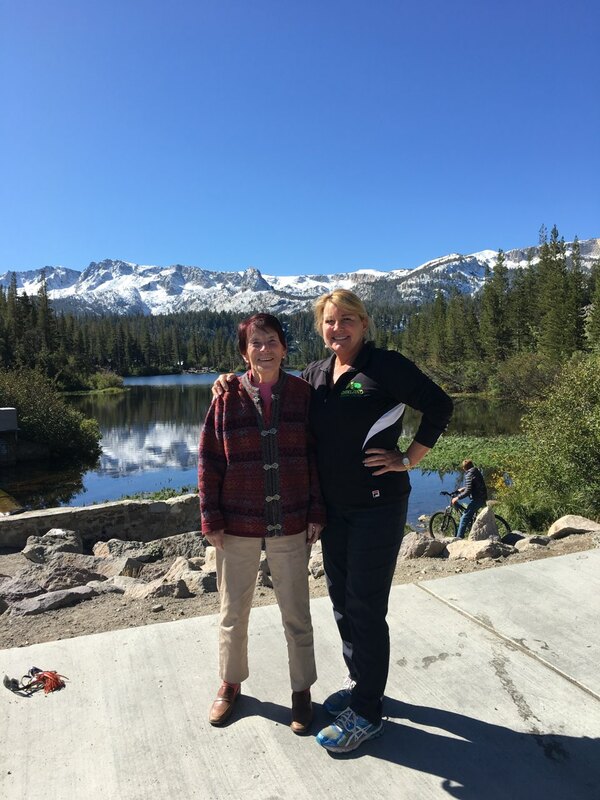 She used to hike in the beautiful John Muir wilderness and explore the Sierra Nevada mountains. What had caused this decline in mobility and mood? The executive director informed me, “It’s part of the disease progression.” That was the last straw. No matter what affliction we may be suffering from, we all deserve to age gracefully – and with dignity. Finding my mother in her bed with wet diapers and stool on her sheets was profoundly distressing and disturbing. Being told that she was “agitated” and needed to be confined to a wheelchair due to her fall risk, grated against me like nails scratching on a chalkboard. Watching her head fall to the side with groggy eyes after receiving an additional morning dose of Seroquel for her “agitation” made me both depressed and determined. These experiences surely did not equate with a quality of life or dignity with the aging process that she deserved. I needed to figure out what was happening. After one of her recent “falls”, seeing my mother’s arms bruised with minor lacerations, I started to put the pieces of the puzzle together. My mother wasn’t walking as much. Whenever I came to visit after lunch, she would be in bed because they said she was “tired”. But when I asked her if she wanted to walk, her eyes lit up and she smiled. Over the past few weeks, my mother was diagnosed with a urinary tract infection (UTI), which is very common among dementia patients due to bladder incontinence. Because of the UTI, she began receiving antibiotics which only made her balance and perceptual skills worse, thus leading to increased fall risk. Due to the fall risk, the caregivers and staff wanted to sedate her so she wouldn’t get out of her wheelchair and stay in bed, if needed. All of these factors contributed to the downward spiral I was seeing in my mom’s health. The bottom line problem: not enough staff to treat my mother with the care and attention she needed. At this facility the caregiver: resident ratio is 1:8, with one nurse overseeing 2 floors of residents. Each floor had 24 residents with 3 caregivers. The lack of attention to changing diapers, not recognizing the “cues” which my mom gives when she needs to go to the bathroom, increased the odds of developing a UTI. Due to the infection and antibiotics, she became more disoriented and encountered balance issues. Now she needed stand-by assistance to walk the hallways with her walker. This couldn’t be achieved because of the lack of staff to oversee this. She was agitated because she wanted to move. She wanted to walk. She was like a racehorse stomping at the starting gate only to have the bell never ring or gates open! 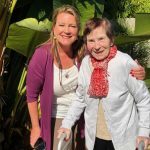 My mother never wanted to be wheelchair bound – she would rather fall while walking than be confined to a wheelchair or placed in bed to wither away. 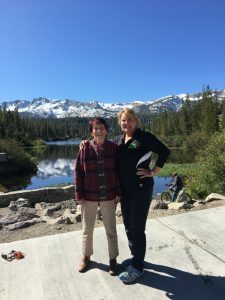 She has hiked through the John Muir wilderness, exploring the Sierra Nevada mountain range and has taken beautiful pictures of lakes and lichen. I explained this to the hospice nurse, who then recommended that we get a physical therapy evaluation. I attended the physical therapy evaluation a few days later. 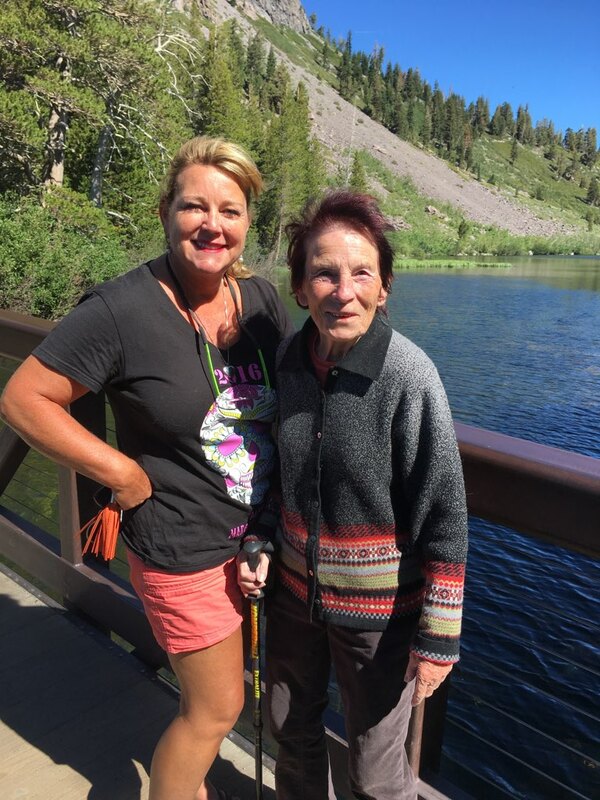 The physical therapist agreed that my mom should be walking and “would benefit from daily walk for overall physical and emotional well-being.” She stated that my mom did have some depth perception issues when crossing over a doorway but overall had strong muscles and good balance when she used her walker. 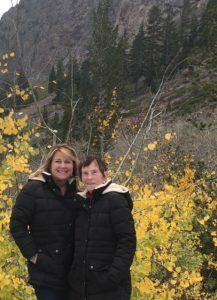 Yes, my mother may be petite, but she has a strong and stubborn German spirit!! While speaking with the executive director, I pointed to the note in the chart from the physical therapist. So why was no one walking with my mom? The answer, “We never deny a resident the right to walk.” This flustered me a bit. Was this just semantics or was I missing something? I asked again and again the same response. 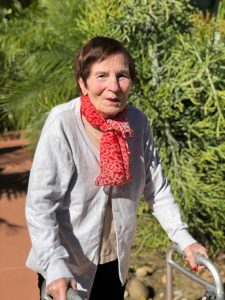 Was a resident with dementia required to “ask” to walk? Even with the note from the physical therapist recommending this for the resident? Two days later I moved my mother to a Board & Care. Not only is the cost less expensive, the caregiver ration is 1:3 – rather than 1:8 at the larger memory care facility that my mother had been living. I was fearful at first of another move for my mom. Many times, a change in surroundings and new caregivers, can lead to anxiety and undue distress. My friend, Kim, and I packed up her clothes and belongings, loaded them up in the car and moved her about 1 mile away from her previous abode. Fortunately, my mom really likes her new “home”. She loves walking outside with her walker seeing the trees on the smooth pathway that circumscribes the house. It’s a home, not a facility. 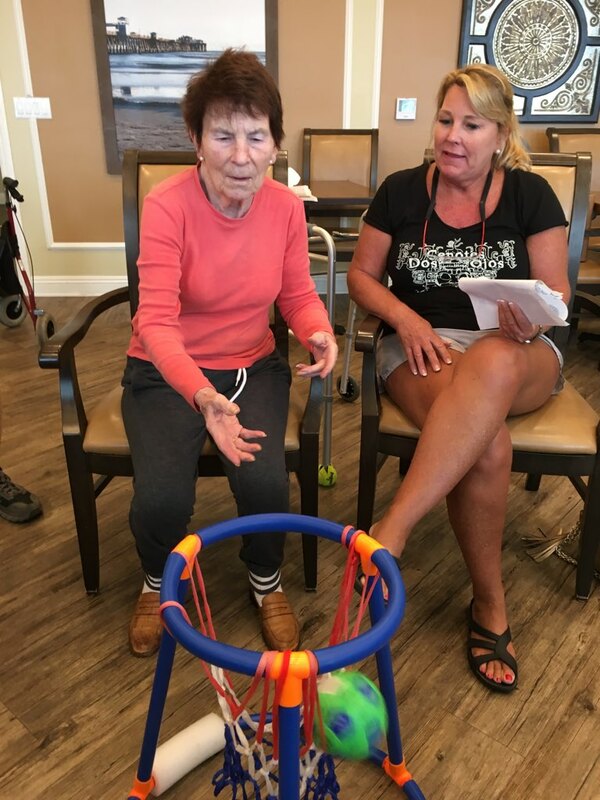 Caregivers talk with the residents and can recognize the “cues” of each resident. They are cognizant of what makes them anxious, when they need to use the restroom, when they are tired and when they need a nap. Unfortunately, many of us are finding ourselves in this morass of confusion and frustration regarding our parents’ long-term care. How we navigate these unchartered territories while abiding by the best intentions for our parent’s health? A dear patient of mine recently gave me a book to read, called “Being Mortal: Medicine and What Matters in the End” by Atul Gawande. It has given me comfort and confirmation of my decision to move my mother. There are many options for care – we just don’t know the pros and cons of each. There is no “school” for finding the best place for our aging parent(s). It takes honesty and communication, among many other things. In our future blogs, we will delve more deeply into the exploration of aging and realities of death. Today, we live in a world which offers the most advanced medical technology for survival. Yes, we can prolong life – but at what quality of life? Are we treating the patient or the family? So many questions that still need to be answered. I went through this with my mother. It was horrible. I sent her to “Brighton Gardens”, in Carlsbad. It changed owners, it changed staff, it changed it’s routine. I was afraid of putting her in one of the facilities that are “Houses”, but maybe it would have been better, I just don’t know. We can only do the best we can. Facilities are understaffed. If you don’t visit often, then your mom or dad gets left behind. It’s a sad and emotional experience for us as their children. God stand by the children who have to make this difficult decision, children you can only do the best you can. – Maria N.